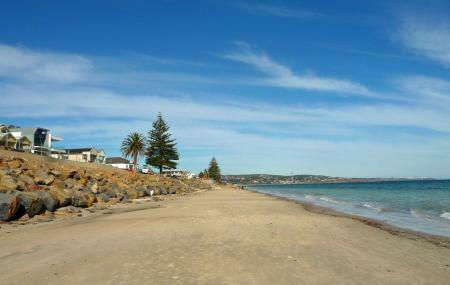 West Beach is a seaside suburb of Adelaide and a popular getaway for tourists and locals. It has white sand beaches, pristine waters and host of tourist activities. The coast is lined with numerous Caravan Parks and tourist resorts. The Harbour Town shopping complex is also located in West Beach. A great family trip, one can sit back and relax on the beach or go swimming in the safe waters. Those so inclined can try their hand at mini golf or do some serious putting at the sprawling golf course located at Adelaide Shores Golf Park. A great way to relax and spend a weekend in Adelaide for the whole family. Ideal for a day trip but can be done over a weekend too. Kids will enjoy numerous activities in the area. How popular is West Beach? People normally also visit River Torrens Linear Park Trail while planning their trip to West Beach.